At San Francisco International Airport during the protest against Trump's Executive Order, surrounded by chants such as "Let them Out" and "No Hate, No Fear, Refugees are Welcome Here." He is reading Black Boy Poems, by Tyson Amir. 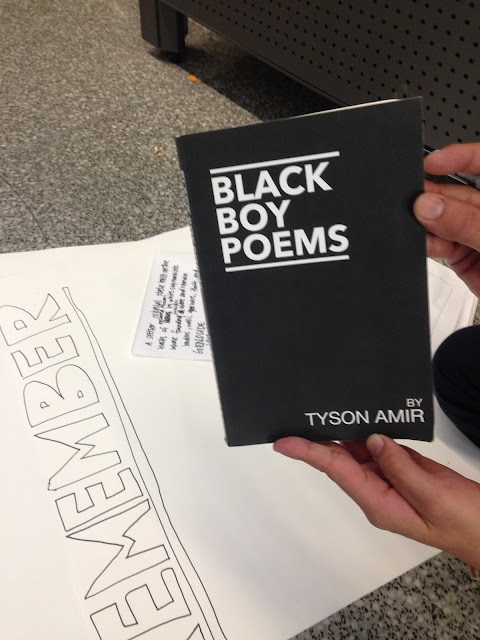 He learned about this book at a poetry reading in Oakland. Right now, it's his favorite book. The poem he's reading today is "Between Huey and Malcom (2015)". 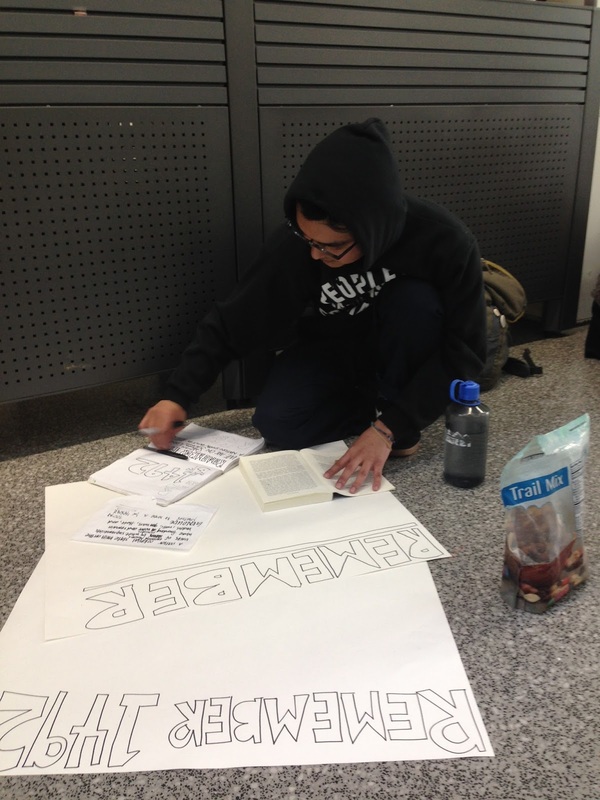 The introduction to the poem says, "Dr. Huey P. Newton had an epiphany when he once said, 'I do not expect the white media to create positive black male images.'" The notes for his sign are Remember: We are on stolen, Indigenous land, a nation-state built by enslaved African captives whose founding principles were white supremacy and settler colonial genocide. Resist with a sense of history. Thank you for posting about the book. I'm honored whenever someone takes the time to flip through the pages and read some of what I wrote. Please thank the young man on my behalf and I'd love to hear some of his reflections and feedback.